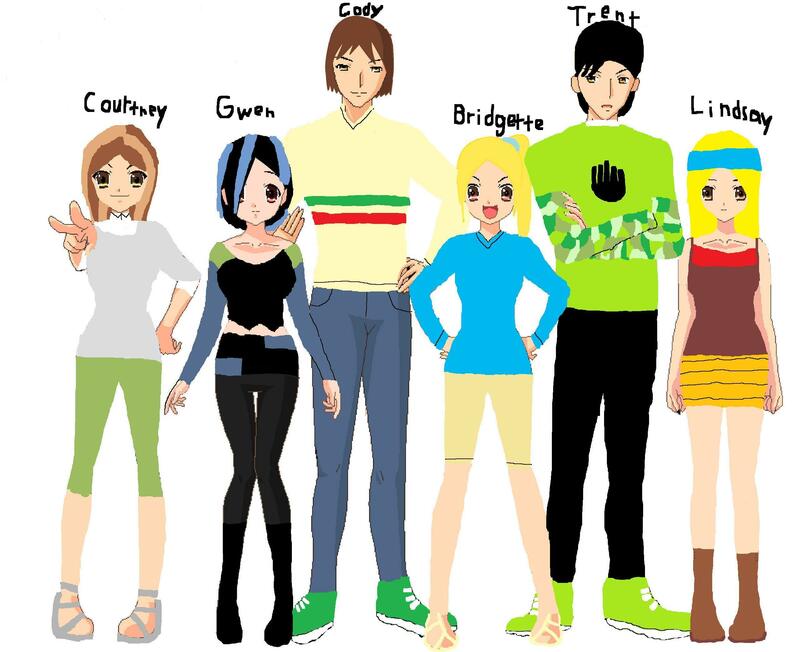 some of the characters in জীবন্ত. . HD Wallpaper and background images in the Total Drama World Tour club tagged: courtney gwen cody bridgette trent lindsay anime total drama. yh am i gonna get in trouble for using the base????? Maybe, if you don't give credit to who made the base. 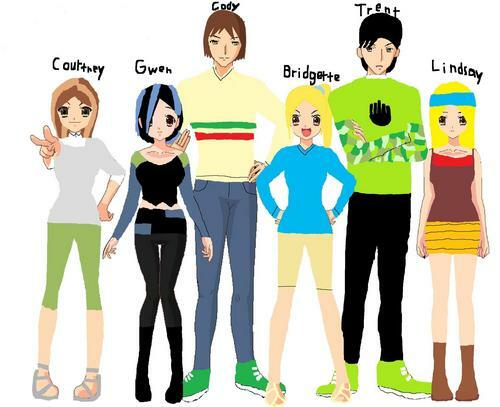 lmao y is cody so tall and buff xD hes supposd 2 b gwens gay little bro haha lol jk to any cody lovers (i am a Noco fan :D) anyway i love the pic! u got some talent!!!!!!!!! !